Hello there. I am Matthew Rudd. I work with you to come up with long-lasting ideas and designs for your brand. I also make photography-based art. 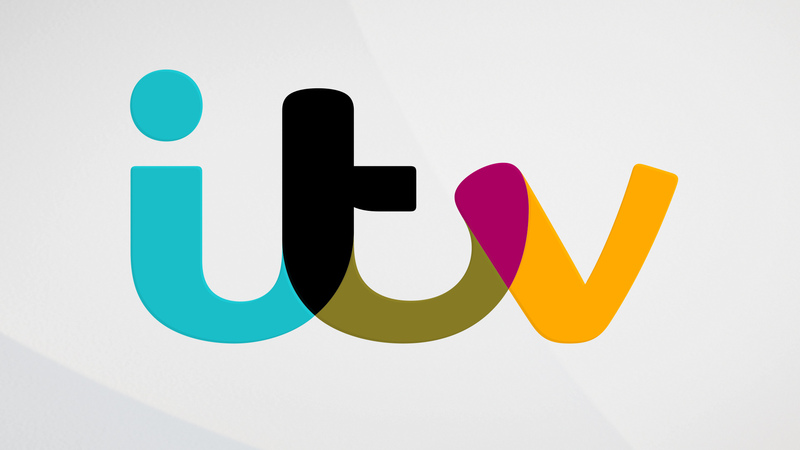 When we made our new logo design ‘pick colours’ from its environment, it felt like we were helping ITV with their ambition to be seen in a new light. Making the identity colourful and dynamic made it feel more friendly and less corporate. I led a pop-up team to develop a completely new visual identity across the network. A group of fifteen creatives was formed from myself and my collaborators, along with designers and producers from ITV’s own creative department. I was excited about the way that the colour-picking ITV logo behaved. I wanted to make artworks which used my photographs and mixed in colour-picking shapes and patterns. As I worked, I was thinking of the art of Bridget Riley, Gerhard Richter, Jackson Pollock and Ansel Adams. 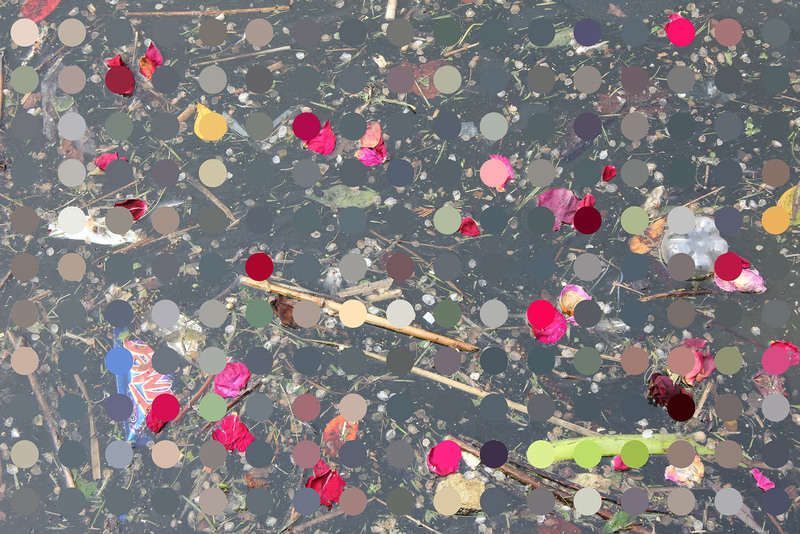 My friend and collaborator Steve Jones created bespoke software which, with all sorts of adjustable parameters, could create large numbers of dots or lines, each one picking colour from the image. Framestore – a bunch of super-clever people working in film, advertising and content – wanted an evolution of their identity rather than a revolution. We worked with a light touch to conceptualise and deliver this brand design project in its entirety. After a thorough and collaborative process where we explored the right amount of transformation, we created a full range of print materials, signage, merchandise, and a comprehensive style guide. It’s hard to take photographs of the landscape in a way that hasn’t been done really well before. My search for a new approach led me to experiment with the addition of non-photographic elements. Like the dot and line artworks, these pieces involve shapes which colour-pick from the photographs. The shapes are physical relief sections which are glued to the photographic prints. I had the relief artworks of Ben Nicholson in mind when I was working on these. This global entertainment group wanted something authoritative and yet fun for their new identity. We came up with this ‘slinky’ concept. After a thorough and collaborative process to develop the idea, we delivered a full range of print materials, logo animations, an extensive website and a comprehensive style guide. To be begin with, I worked with the St Lukes agency to re-think the Very.co.uk logo animation. By the end of the process, we had come up with a new brand device which ran through all of the online retailer’s communications. My role here was as a brand thinker, chatting through the challenges with creatives at St Lukes and the client, and proposing big, simple ideas. Channel 4 wanted us to re-think its on-screen branding, keeping its iconic logo centre-stage. My idea was to look at the logo from different angles, like the Cubists did a hundred years ago, and like Channel 4 do now. I presented the idea with my own animations. I got the go-ahead and worked with my collaborators Oscar Gonzalez and Sylvie Minois to produce the final animations. Some people want art to move them in an intellectual way and others are more concerned with aesthetics and beauty. I wanted these artworks to work in both ways. The photographs of nature are all about beauty, whilst I hope the words, which are moments from songs I have written, provoke curiosity. What do these words mean? What is the relationship between the words and the images? Interesting side note – the typeface is FS St James, which is part of the Fontsmith’s Lost and Foundry project, where typography found in London’s Soho was lovingly crafted into digital fonts. They say don’t meet your heroes, but I can fully recommend it. My meeting with Milton Glaser left me inspired and encouraged. He showed me that graphic design and art can be excellent bedfellows. Knowing about my interest in Glaser, Jason Smith (founder of the type foundry Fontsmith) asked me to write an article for the second edition of his TypeNotes magazine. My article formed part of a series celebrating the design heroes of the original Mad Men era. Liza Marshall called her new production company Hera after the Greek goddess, and I came up with this logo to communicate strength, independence and femininity. I worked largely on my own on this project, but in the model of the ITV logo design process, my friends at type foundry Fontsmith crafted the final drawing of the logo.